September | 2016 | HowDoYouLandscape? 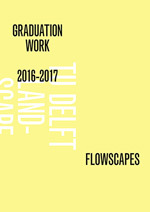 The new masters students of Landscape Architecture embarked upon the first of, what will soon be, many adventures studying the diverse dutch landscape. The first excursion took the students south from Delft and into the beautiful landscape of Limburg. Limburg offered an entirely different view of the dutch landscape, rolling hills and vineyards were the main characteristic. Created by the terraced plateaus formed by the river Meuse; this was a Netherlands very different from the flat polders of south holland and one which most of the students had not seen before. But this was also an area in which the students could see mans forceful affect on our environment; that being in the old limestone quarries of Limburg. Now, that the quarry sites are closed, nature has taken over and this unique space was a peaceful setting of plants and wildlife. But most interestingly for the students to see were the bounding steep walls of rock which show the geomorphology of the space; layers of strata freezing the landscapes’ formation through time. Of course, the only way to really understand the landscape is to delve into and experience it; thus ensued two jam-packed days of exploring from the apex of the plateau to the lows of the quarry, through the small villages, chateaus, vineyards and even a quick wave to Belgium. From tumbling down the steep quarry sides to wet hair flips in the lakes; the only way to learn the landscape is to be in it!